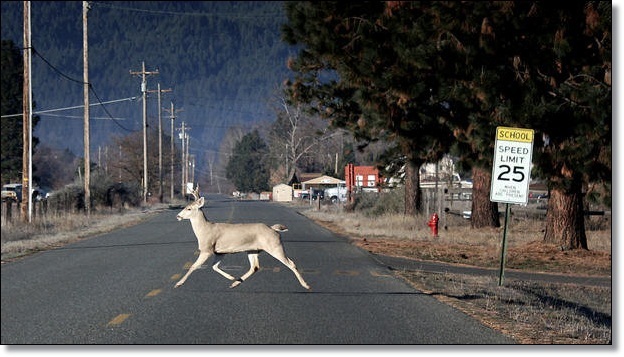 If you've ever lived in the eastern or central United States, chances are you've seen a deer test fate by dashing across a busy road, or worse, test your fate as well by triggering a car crash. A new study finds that car-deer crashes are rising sharply after a few years of decline, just in time for the peak season when Bambi's most likely to hit the interstate. The reason? More cars on the road, and more deer than ever. 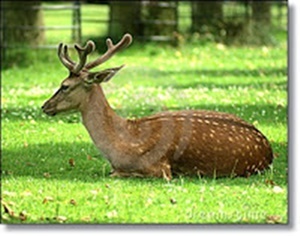 Research has found that about 200 people a year in the United States die in crashes caused by darting deer. State Farm Insurance used its claims data to research the problem and estimated that deer hit 1.23 million vehicles between July 2011 and June 2012. Over the past four years, State Farm says, claims from deer hits rose nearly 8 percent, while claims from all other types of collisions fell 8.5 percent. 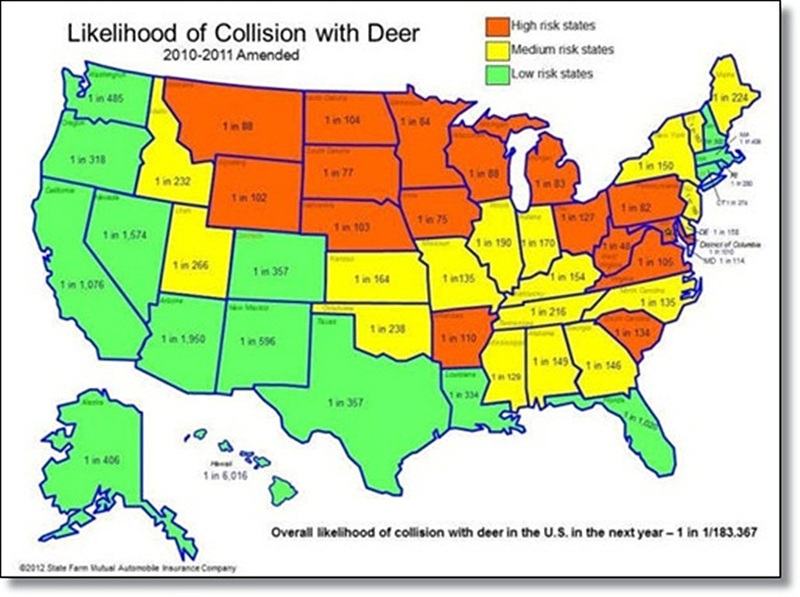 Part of the reason there's more deer accidents comes from the rising number of all kinds of accidents; as the economy starts to grow again, more people get back to commuting or driving longer distances. But the bigger factor comes from America's overpopulated deer herds, estimated at 20 million animals, which have grown even in states where thousands of hunters believe the second week of deer camp is the greatest time of year. Some critics say current hunting rules makes the problem worse by limiting does; others note that suburban sprawl means more deer have places to graze without natural predators where hunting isn't allowed. Many cities have turned to controlled hunts to lower their deer count, but that may only reduce numbers temporarily. State Farm says November is the peak month for deer strikes, and unfortunately for drivers, there's no guaranteed way to avoid a deer crash. Driving with high beam headlights on as much as possible and watching for deer crossing signs can help; the whistles that mount on your bumper and supposedly scare off deer won't. The only trick that will ensure your safety: Move to Hawaii.